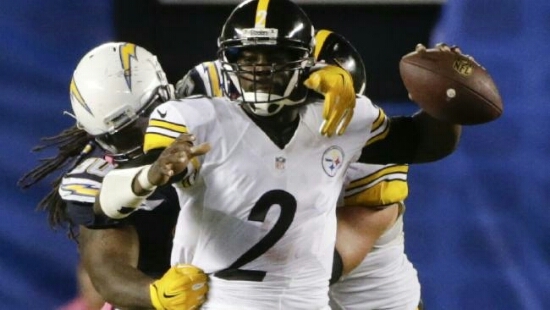 Steelers Sign DL Ricardo Matthews to One Year Contract | "IT'S A STEELERS WORLD"! Steelers.com’s Teresa Varley reports that the Pittsburgh Steelers added depth to their defensive line by singing free agent, Ricardo Matthews to a one-year contract. The 6-3, 300 pound Mathews played college football at Cincinnati and the last two seasons playing in 28 games for the San Diego Chargers, nine of those games as a starter. He finished with 43 tackles and two and a half sacks in his two seasons with the Chargers. Originally drafted by the Indianapolis Colts in the seventh round in the 2010 NFL Draft, Matthews played in 52 games for the Colts with six starts. Mathews has 94 career tackles, four sacks, four passes defensed and two forced fumbles.